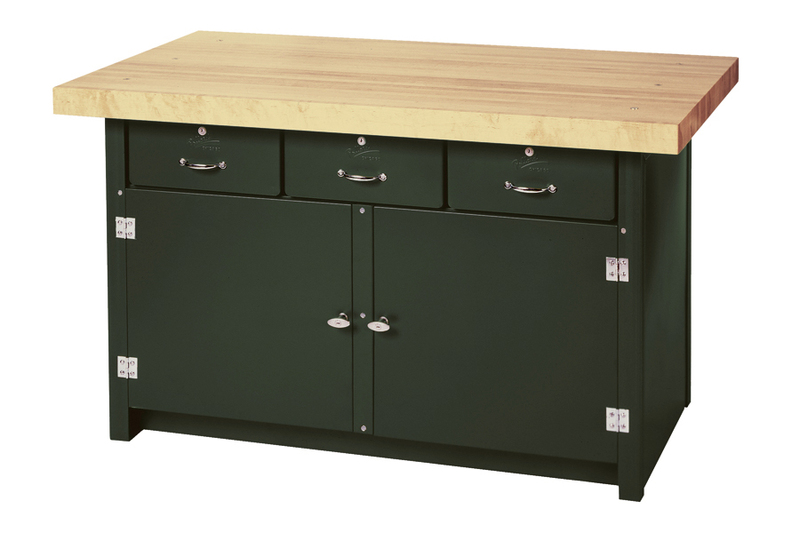 Drawers come standard with pull handles and keyed cylinder locks. 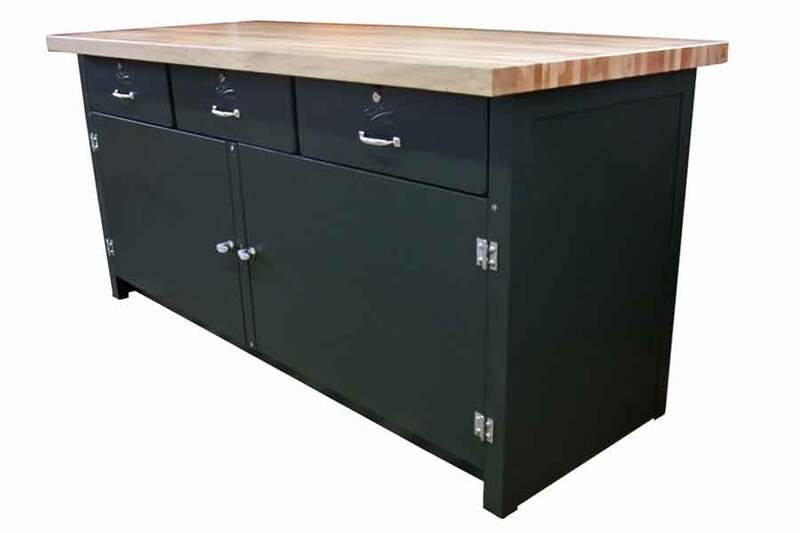 Cabinets are fitted with locking T-handles and a center mounted shelf. Drawers and cabinet locks are all keyed alike. Center drawer includes a sliding insert tray. Alternate tops available by special request only, contact office for details. Standard Colors apply; others available upon request. 5' x 30" 6' x 30"